A delightful storage bag to organize your life. Peek-A-Bags are perfect for kids storage. Organize your playroom, kids bedrooms & storage shelves. Peek-a-bags easily solve your storage challenges. Contain your floor clutter in standard and mini sizes to meet your storage needs. 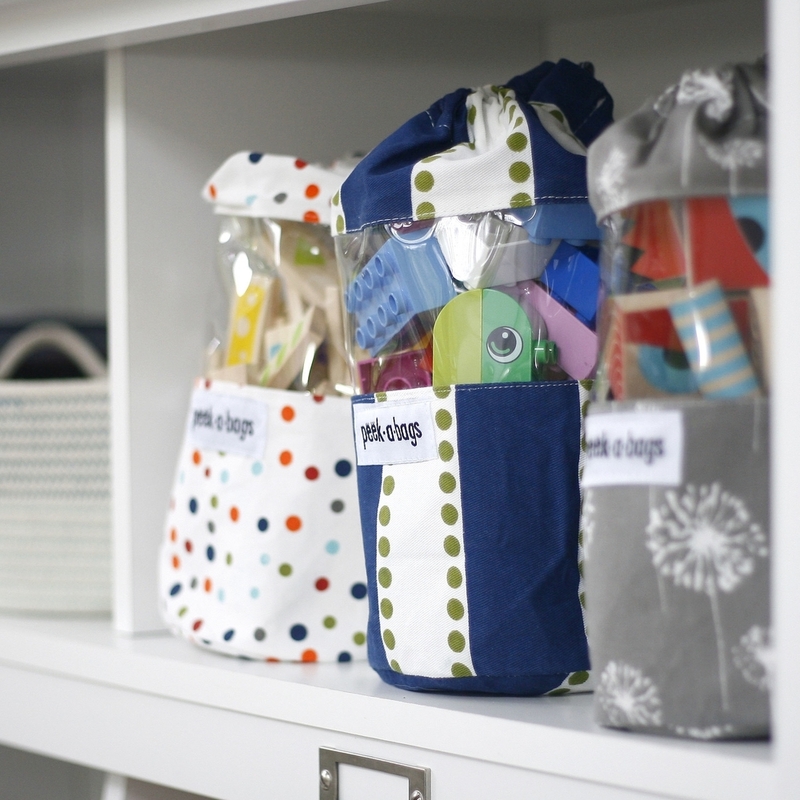 Peek-a-bags give your little ones quick and easy access to their favorite toys. The drawstring makes it easy to transport from room to room and cinch it closed when they are done. Peek-a-bags come in a variety of prints and patterns to match your decor and bring an added dose of charm to your household storage. The products you buy from us are an investment to be used again and again. We take safety incredibly seriously and often exceed the current mandated standards. If we’re not willing to use it in our own home, we will not sell it.